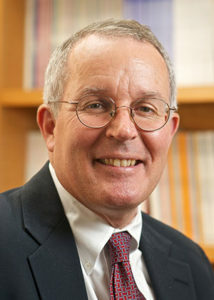 Dr. David Bates is a Professor of Medicine at Harvard Medical School, and a Professor of Health Policy and Management at the Harvard School of Public Health, where he co-directs the Program in Clinical Effectiveness. He is chief of the Division of General Medicine and Primary Care as well as the director of the Center for Patient Safety Research and Practice at Brigham and Women’s Hospital. An internationally renowned expert in patient safety, Dr. Bates uses information technology to improve care, quality-of-care, cost-effectiveness, and outcomes assessment in medical practice. He has studied medication safety in many areas, including the perioperative area, and has focused in particular on the impact of HIT on medication safety. He is the immediate past president of the International Society for Quality in Healthcare (ISQua) and the editor of the Journal of Patient Safety.